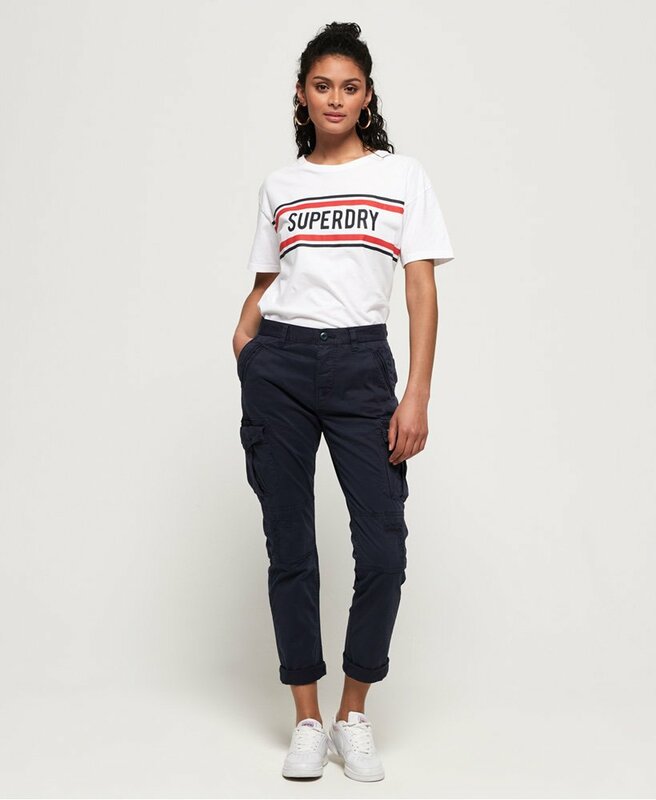 Superdry women’s Girlfriend cargo pants. The cargo pant is back. These pants come with six pockets and two back pockets, button fly, belt loops and distressed detailing. 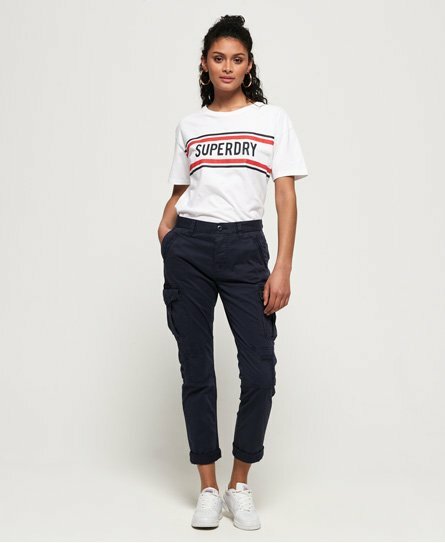 The Girlfriend cargo pants are completed with a Superdry logo badge on one pocket. Combining practicality and style these cargo pants are a must have.